Opponents of utility-scale wind development in Vermont have said a lot of untrue and inflammatory things about wind energy. They accuse wind developers and advocates of a “mad rush” to “destroy” our mountains and ridgelines, not to mention “time-honored Vermont traditions.” They bemoan all the supposedly unanswered questions about wind — its safety, efficacy, and effects on forests, wildlife, and water quality. They also question the viability of wind power in Vermont, and why turbines must be sited on ridgelines instead of, say, in the Champlain valley.Would it surprise you to learn that these questions have all been thoroughly explored right here in Vermont, in a lengthy series of reports, working papers, and official actions? All freely available online for your perusal?Well, surprise, surprise.In part 1 of this two-part series, I reviewed the legislative history of Vermont’s renewable energy policy — how it was crafted carefully, painstakingly, over 15 years time, with ample opportunity for one and all to have their say. Here, in part 2, I’ll look at our regulatory history, and outline a parallel process — equally rigorous and inclusive. We begin part 2 back in 1996, when “Independence Day” ruled the box office and (oh God no) “Macarena” was top of the pops. That was the year we entered the Age of Wind, as the Public Service Board approved Vermont’s first modern wind farm, at Searsburg. 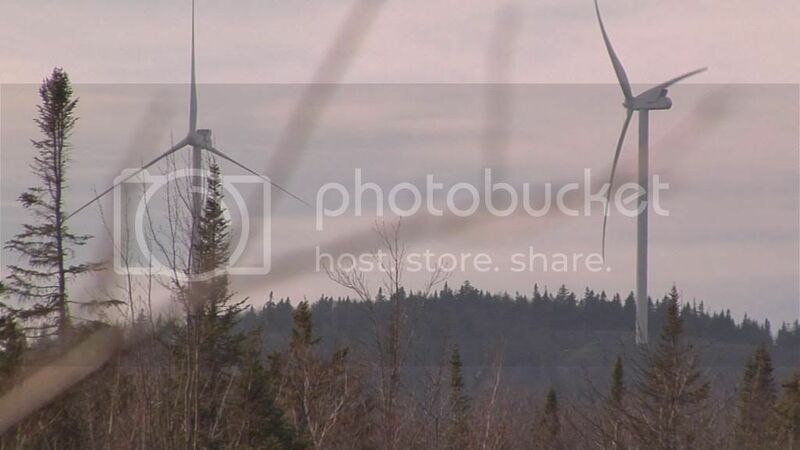 (Photo: Searsburg turbines. )The project’s opening marked the midpoint of an extensive study of wildlife impacts. Which found,mirabile dictu, pretty much no impact whatsoever.The study began in 1994 and ended in 1998. It was the first in the eastern US to study a wind farm’s effect on bird populations, fatalities, behavior, and migration patterns before, during, and after construction of a commercial-scale wind facility. The conclusion: “Overall, it appeared that impacts were minor. Those that were found are not likely to [have] significant adverse effects on populations of any species on a regional scale.”Researchers found no bird carcasses near the turbines, and no evidence of scavenger activity. This doesn’t prove there were no turbine-related fatalities, but it strongly suggests that “only a few, if any birds” were killed.After the jump: Why ridgelines are the only good sites for turbines; ways to limit aesthetic issues; considerations of water quality; why Act 250 jurisdiction was rejected; and a review of the literature on turbine noise. In 2002, DPS released a report on Vermont’s wind energy resources, which reported that “Vermont’s wind resource is abundant enough to meet a significant portion of the state’s electric power needs.” The report notes that with the “forthcoming shutdown” of Vermont Yankee (if only), “opportunities for replacing nuclear generation with wood and wind generation should be explored.”And where are the best wind energy sites? The report acknowledged the benefits and potential drawbacks of wind energy. Benefits included emission-free power, “free, inexhaustible resources”, financial benefits for communities and landowners, and reducing dependence on imported fuel and long-range power transmission. Also in 2002, landscape architect Jean Vissering wrote “Wind Energy and Vermont’s Scenic Landscape,” a report commissioned by DPS. 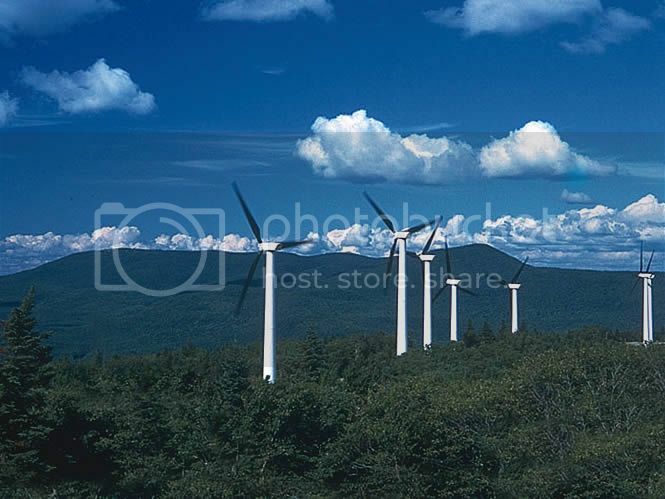 Vissering noted that “Ridgelines provide the best location for wind generation facilities in Vermont, and elevations between 2000 and 3500 feet above sea level are ideal for maximum power production.” Icing becomes a problem at higher elevations, so no turbines on Mount Mansfield. Given all the physical limitations on potential turbine sites, it’s clear that wind could never become more than a modest portion of Vermont’s energy portfolio, and it’s completely unrealistic to think that wind farms could ever become more than a small part of our landscape. Benefits of wind energy. Earth-friendly alternative to fossil fuels, no impact from mining or transportation of fuels; a diverse array of sources means less dependence on a single source; renewables create jobs, plus financial gains for host communities and landowners; reduces dependence on imported fuels; reduces vulnerability of energy system because renewables are more dispersed. Aesthetics/Scenic Resource Impacts of wind. Details the many potential effects and how best to limit or eliminate them. Very thorough and detailed. Erosion and Water Quality Concerns. Notes that high-elevation soils, streams, and wetlands are particularly fragile. Any construction near a high-altitude stream requires a special federal permit. Any alteration of wetlands requires a state permit. Notes that applicants for projects on state lands are required to submit plans for erosion prevention and sedimentation control. Impacts on wildlife, plant species and natural communities. Cautions that wind turbines “should not be considered on sites where there would be significant cumulative impacts to wildlife populations and important habitats.” This process was diligently applied in Searsburg, resulting in little or no effect on wildlife. Later that same year, ANR issued a policy on development of wind or other renewable energy sources on state land. It notes ANR’s dual responsibilities in this area: protecting Vermont’s natural landscape, and fostering renewable energy as a way of mitigating the impacts of energy production and climate change. The report concluded that construction of wind farms or even test towers on ANR lands was inappropriate. It also notes that less than 1% of all ANR lands would be commercially viable for wind energy. The document left the door open to future policy changes, if it is determined that ANR lands are the best sites for wind projects, and that the public interest in wind development outweighs other considerations. So, in an Administration unfriendly to wind power, the PSB was judged to be adequately considering local and regional input. Hmm. Maybe the accusations of modern-day Windies are a bit, ahem, overblown? The docket numbers, for those wishing to wade through endless pages of documentation, testimony and reports, are: 6911 (East Mountain Wind, rejected), 7156 (Sheffield), 7250 (Deerfield), 7508 (Georgia Mt. ), and 7628 (Lowell). Plus, going back to 1996, Docket 5823 (original Searsburg project). Anyone who thinks there’s a “mad rush” to build wind turbines should take a look at these dockets. The process is thorough, inclusive, and painstaking. It’s the opposite of rushed. All factors are considered. In short, the state has built a well-functioning process for considering utility-scale wind proposals. The process has worked very well. The only way you could conclude otherwise is out of a complete, total, blind opposition to any large-scale wind projects in Vermont.